Heath Stairworks is a full service stair and railing installation company. We have been serving Northern California builders, homeowners and property managers for over 25 years. 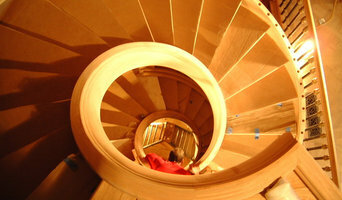 The makers of Custom Wooden Straight, Curved, Winding, Spiral Stairs & Hand Railings in most any material. We are a local stair company specializing in all types of custom stairways and railings including shop-built stairs and iron balusters. We stock thousands of stair parts in more than 10 wood species to expedite installation (Hickory, Jatoba, Maple, Cherry, mahogany, Alder, Red Oak, White Oak, Poplar, D.Fir, Walnut). Quality levels are high. Lead times are short. We understand the urgency of a job schedule and are dedicated to providing timely deliveries for our product. We ship our stairways all over the west coast. Although lead times vary depending on your location we can fill typical orders a week or less (some as little as 24 hours). Independent Realtor assisting folks buy and sell home with the utmost of care and professionalism, in the manner that they deserve. • Our team has over twenty-five years of experience in the custom iron industry. • At California Custom Iron, we pride ourselves on our professionalism and class, on the job site and off. • Our team at California Custom Iron can fabricate the most intricate iron/steel designs imaginable. 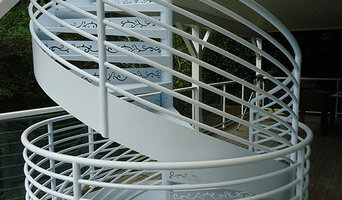 • All spiral stairs, railings and staircases are built in our shop, not by an outside/overseas company. • We proudly showcase our ability to hand forge everything we do, a skill that has been lost by most companies today. • We carefully select the highest grade steel, powder coat, and paint the industry has to offer. • We take extra precaution to insure that all building code requirements are met. • All specialty pieces and hardware are welded, not bolted. 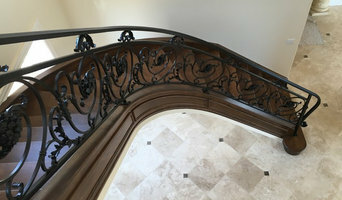 • Architects and contractors turn to California Custom Iron for their specialty needs, from residential to commercial, including railings, spiral stairs, grand staircases, and fencing. 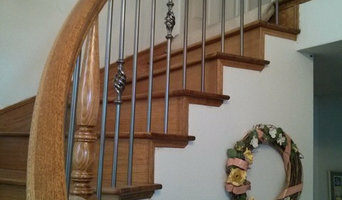 We at Sacramento Stair Company believe that we can help you with your stair railing and interior trim projects by using our team of custom installers who are professional, on schedule, and flexible to meet your needs. We have been in business for over 20 years and have the experience to ensure that your projects are installed with the uppermost care in quality of workmanship and finished on time. Please give us the opportunity to provide you with a no-obligation quote and let us also show you that dealing with professional subcontractors can take the stress out of completing your project. 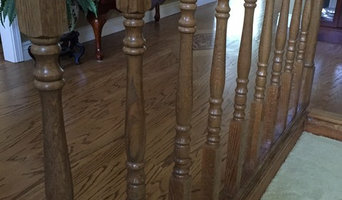 Folsom Stair & Woodworks, Inc.
C & L Stairs and Millwork, Inc.
C & L Stairs and Millwork has been providing top quality staircases and millwork for the past 30 years. We manufacture stair parts and hardwood mouldings and other custom millwork items. We are a family owned and operated Northern California business established in 1993 with a vast amount of local references throughout Nevada, Placer, El Dorado counties and surrounding areas. With over 30 years of experience, we specialize in design, fabrication, and installation of custom wooden stairs, stair rail systems, and interior trim made from all species of wood for both residential and commercial projects. We also specialize in log, cable, and glass panel rail systems. Whether you're a homeowner or Contractor, we pride ourselves in making the whole process from conception to completion, a simple and stress-free experience that will be on schedule and budget. Art of welding has been providing custom handrails, balcony, staircases for over 10 years in Sacramento and surrounding areas.